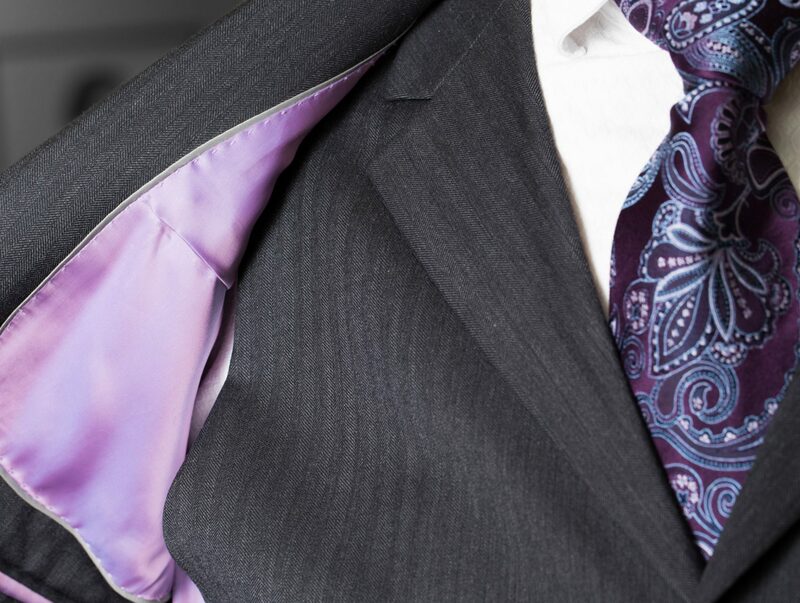 DMV Art’s suits are made to the exact measurements of the customer to ensure the perfect fit, along with meticulous attention to detail that you choose. If you want one of our bespoke suits in London, you will be guided through our tailor made suit process. This starts with booking the first fitting at DMV Art, where we can either meet with you at your desired location or our fitting rooms. We will then take measurements of your body, and help to decide on the cut and cloth of the suit. Our fitters can advise on the best cloth for the occasion, season or trend, and what looks and works best with your colour type. DMV Art also provide a basted fitting, where you can try on the basic skeleton of the suit without the internal layers and linings, as this will allow you to change your mind on certain aspects of the suit such as the pockets, vents and buttons. Once we have measured and decided on the design of the suit, our in-house garment design technicians will use computer modelling to modify the pre-existing pattern to your body’s shape and measurements. This is then handed to our European factory, and will be created within 6 to 8 weeks with our standard service. A second appointment will then be scheduled, and here we’ll make sure the suit fits perfectly, and, make any final adjustments to the suit. The suit will then be ready to collect 1 week after this second fitting. To find out more about the process of creating your made-to-measure suit, you can visit our Bespoke Suits London Process. Do you want to purchase one of our made-to-measure bespoke suits in London? Contact DMV Art on 0203 137 1688 or you can email info@dmvart.com with any queries you have. Otherwise you can book an appointment by filling in the required fields of our Enquiry Form, and one of our team will look to respond and book in the appointment as soon as possible.